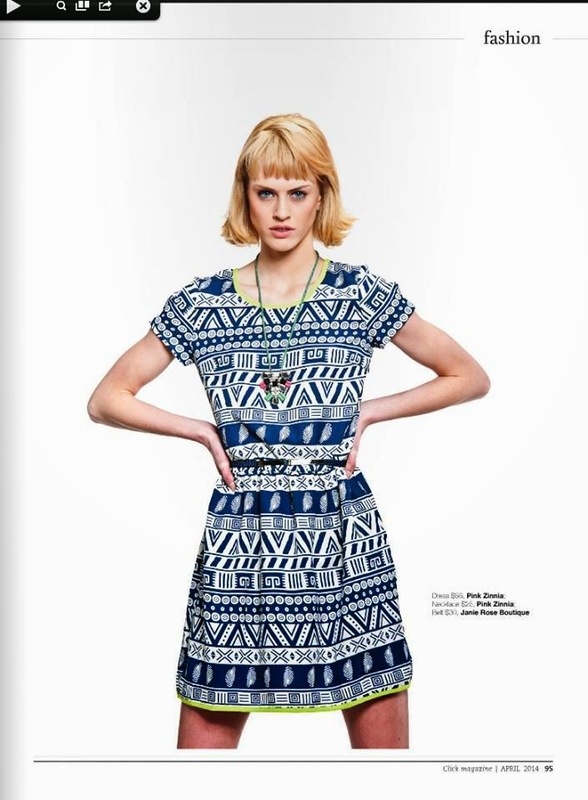 Click featured a Color Theory fashion shoot in April for their annual fashion issue. Getting to play with brightly patterned clothing and bold hues had me in style heaven. Here are some behind the scenes photos and style tips for your colorful summer wardrobe. The makeup for this shoot was very simple. Since the model would be wearing dramatic colors and patterns, I gave her a simple sun-kissed glow. It’s important not to wear a lot of color on your face if you will be playing it up in the wardrobe. We had plenty of styles to work with. All of the boutique start receiving their summer collections around March/April so we had a fresh pick on the season’s hottest styles. Brightly colored, ankle skinny jeans are in this season. Pair these bottoms with an oversized racerback tank. Scarves can still be worn in the summer to add a pop of color however, make sure that the fabric is light to keep the outfit balanced. Tend to live a little on the wild side? Choose a sheer racer-back tank and layer with a lace bandeau. Aztec and tribals aren’t going any wear anytime soon. Instead of the neutral black, maroon, and cream patterns, choose coral, mint, lime, and pomegranate color schemes. Tired of tribals? Try the geometric patterns to switch it up some. Triangle variations are very popular this summer. Like to keep your closet classic? You can still spice up neutral patterns. Leather details and chunky gemstone jewelry will give your timeless look a modern flare.